Halfords, the UK's largest retailer of car maintenance, cycling and touring products, has today announced its selection of Fujitsu to provide ongoing store IT maintenance and support. 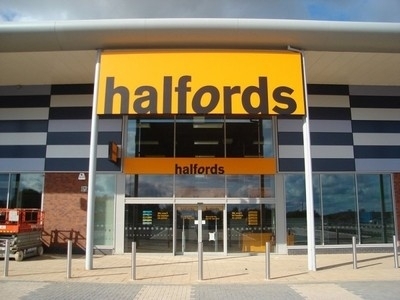 The three-year contract covers the retailer’s 486 stores across the UK and Ireland and has been designed to support Halfords’ wider business objective of IT becoming an enabler for future growth. Halfords has set a three-year plan in place that will see it transform its IT business in line with its people, processes, partners and technology by 2017. It is also currently reviewing its IT suppliers with an aim to significantly reduce to a smaller set of strategic relationships. Following a competitive tender it chose Fujitsu to manage and maintain its IT hardware within the UK and Ireland stores. “Providing a strong IT maintenance service to our colleagues instore enables them to deliver great service to our customers,” stated Anna Barsby, Halfords chief information officer (CIO). Barsby also confirmed the company was also currently looking at its data centre hosting, network design and provision and end-user computing strategy. The new Fujitsu partnership replaces the retailer’s previous contract with IT service specialists Barron McCann.